Four years after its release on Android and iOS devices, EA's Plants vs Zombies 2 receives a major update that's meant to breath new life into the game. I'm not sure how many of you still play PvZ 2 after four years, but it looks like now would be a good time to pick it up again. The latest update brings a brand new competitive battle mode called “Battlez” where players are pitted in head-to-head matches with other players to see who can score more points while defeating zombies. While playing in Battlez mode, you'll notice a banner along the bottom of the screen, colored blue, red, and yellow. Apparently, these banners are meant to designate the scoring zones, and zombies are worth points relative to the zone they are defeated in. For example, if you defeat a zombie in the blue zone, it might worth a lot more points than the same zombie defeated in the yellow zone. Obviously, you still have to stop the zombies from reaching your house since they will trigger a Lawn Mower and you won't be awarded any points from zombies defeated by it. There's a change though in the fact that the Lawn Mower will become available again, unlike in standard PvZ 2 matches where it's only available once. EA also promises the Battlez map will change every week so that players will face new challenges. 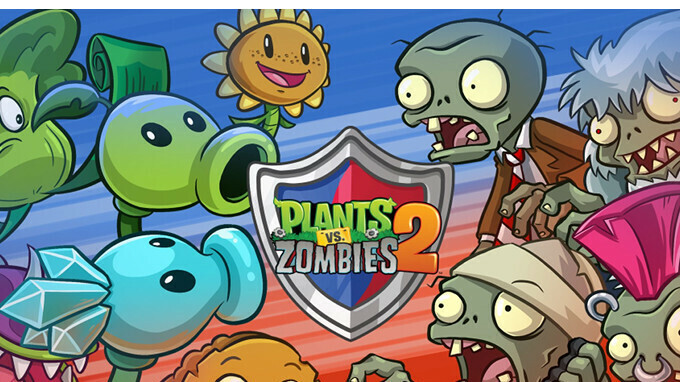 One thing that you should be aware of before you start mowing down those zombies: the better you get at Battlez, the stronger the zombies will become. I stopped reading after the word EA. Everything follows is trash. I stopped playing it over 2 years ago when EA turned PvZ 2 into play to win game. That’s terrible, it being a game you have to play to win.